Cubitac, home to the makers of beautiful and strong cabinets. With only three things in mind- to create a cabinet that is affordable, fashionable, and durable, we go to great length to bring you just that. Considering timing to be of essence when remodeling your kitchen, we pre-stock our customizable product so you don’t need to compromise on time, money, or style. Cubitac, the art of the home. 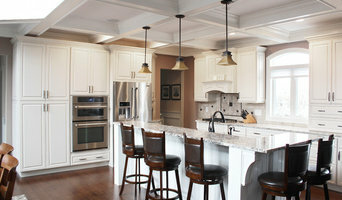 Signature Kitchens, Inc. specializes in custom cabinetry design for all residential and commercial applications. We accommodate varying levels of complexity based on a client’s overall vision and budget. Our customers rely on us to coordinate all aspects of interior design for their kitchen or bath, including utilization of available space, and the selection of fixtures, materials, and accessories. We also provide complete residential construction services for clients who prefer having one contractor responsible for the entire project. Founded in 2002 by Iko Aviv and Ana Sternberg; with a high emphasis on contemporary, eco-centric, fashionable cabinetry and interiors; the firm has expanded and progressed their work scope with the introduction of custom millwork and cabinetry under the “Bazzéo by NYLoft” brand in 2007. In early 2016 NYLoft, during ICFF, welcomed BINOVA, one of the most established high-quality Italian kitchen companies in the world of, to their lineup. NYLoft provides full service interior design and planning services for residential, commercial and multi-unit projects in all featured product lines. About the owners: IKO AVIV - President and Owner of NYLoft is a 2nd generation cabinetmaker, who recognizes market trends and opportunities the moment they are presented. 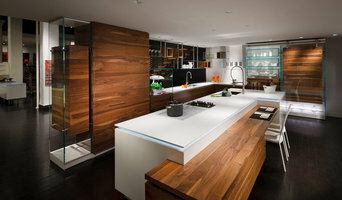 Since 1997, after leaving Israel where he ran his own plant for cabinets and custom furniture, since then, Iko has been involved with the import and business development of European designed Cabinetry and Home Interiors In 2002 he founded NYLoft and opened the 7000 sq ft showroom in Chelsea, New York. 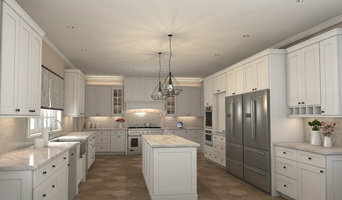 NY Loft is one of the fastest growing Kitchen and Home Interior companies in the USA, South America and the Caribbean. In 2007 bazzéo was founded in New York. Mr. Aviv is the technical and design mind for bazzéo. ANA STERNBERG – CEO and Owner of NYLoft graduated with a Bachelor Degree in architecture from the Polytechnic University in Haifa, Israel, in 1984. Ana has established a successful portfolio, working in architecture and interior design, with a focus on hospitality design. Since 1997 she has been concentrating in Kitchen and Bath design, and has been a part of NYLoft since the company opening in 2002. In 2007 bazzéo and the design for bazzéo was added to Mrs. Sternberg’s portfolio. 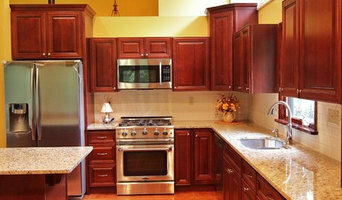 Direct Depot Kitchen Wholesalers The Best Custom Cabinets Made in America. The Lowest Prices Allowed. With one of the largest cabinetry showrooms in the tri-state area chances are, if you want it, we have it in our showroom for you to see, touch and experience. We specialize in the highest quality American-made custom cabinetry. As a kitchen wholesaler, we’ve negotiated the lowest prices possible with the most reliable cabinetry manufacturers today, in every price point to meet any budget. Direct Depot Kitchen Wholesalers is the only design center in the tri-state area able to offer low factory-direct prices to the public, in a similar manner as price clubs like Costco, BJ’s, or Sam’s Club. Let Direct Depot Kitchen Wholesaler’s unbeatable buying power get you more for your money. You’ll also receive industry-leading design services absolutely FREE! There is never a fee for the benefit of the expertise, experience, and know-how of your personal design consultant. In most cases, you'll leave your first appointment knowing what you're kitchen will look like and receive a 3D rendering along with your initial quote! 2D3D Design, Inc. is a New York City based design studio specializing in the conception, planning and creation of interior decor and artworks, furniture design, and kitchen and bath design for commercial and residential mid to high end clientele. Founder, Rosanne Percivalle brings her talent to projects that have graced the pages of national magazines, record companies, publishers, museums and corporations around the world. A professional designer and illustrator, Rosanne has created and designed furniture, fixtures and sculpture for leading art directors, architectural firms and corporations. Rosanne and her businesses have been featured on HGTV, in the New York Times, Daily News, New York Magazine, Interior Design, Metropolis, Print and at the Society of Illustrator’s among others. From Whole Foods Market to The Smithsonian Institute to NBC TV, Rosanne has been creating for these and many other clients for over 30 years. Her national awards and recognition has attracted the attention of those in need of expertise and design excellence. We believe in making the future a beautiful, functional and healthy place to live. The Line Construction, Inc. is a custom residential marble, stone and tile installation service. Every member of The Line Construction is committed to the finest in workmanship and customer satisfaction. We are a dedicated team of detail-oriented and hard working people. With The Line Construction, your project will be done right--with precision, pride and integrity. Custom Marble, Stone and Tile Installation in New York City, Westchester and Connecticut. Sleepy Hollow Custom Kitchens is the premier designer of custom-crafted luxury kitchens for some of the most prestigious homes in Westchester County, New York. As a family-owned business, we have been creating kitchens for over 55 years with a passion for good design and attention to detail. We are not simply a "kitchen shop." We realize the choices of cabinetry, appliances and surface materials can be overwhelming. At Sleepy Hollow Custom Kitchens, we know that your kitchen, the center of your home, is a very special place. Our design process is unique every time: no two kitchens in our portfolio are alike. Our personal attention to every detail in kitchen and bathroom design ensures your individual needs and concerns are understood. Our highly detailed, hand-drawn plans reflect collaboration between our designers and our client. At Sleepy Hollow Custom Kitchens we are not satisfied until you are. Every good design begins with a full understanding of your space, your lifestyle and your needs and desires. When you visit our showroom at 42 River Street in Sleepy Hollow, we'll sit down together to explore ideas, and our designers will begin to learn about you and your home. This is a great time to bring all the decision makers, along with any photos, clippings, and samples you might have collected. We specialize in integrating the complete interior design. The little touches that bring the whole picture together! We can even include artwork choices. We will actually go to the store with you, assisting you in finding your way through the many styles and options. The importance of lighting in home design is usually overlooked, and chronically under-appreciated. At Sleepy Hollow Custom Kitchens, we know that light does so much more than provide for working areas. Correctly illuminating your dream kitchen brings it to light and to life! We won't rest until we have an integrated design plan that complements your home perfectly. Kitchen and Bath design and remodeling firm. We are a family owned business incorporated in 1967. We have served the New Jersey and New York market in a variety of remodeling projects. We handle all aspects of interior and exterior renovations involved in kitchen and bath projects. Founded in 2013 by Domenick Ciccone, Exquisite Tile is the go-to destination for Westchester’s most discerning customers, all of them seeking affordable, high quality tile and flooring materials for their bathroom and kitchen renovations as well as their outdoor entertainment needs. This Bronx native has been working in the tile business for close to 10 years, learning everything there is know about the industry from the ground up. With a flare for designing and matching the right tile to the appropriate application, Domenick takes great pride in helping customers choose tiles that will bring out the personality of their kitchen, bathroom or other space. Located in Hartsdale, Exquisite Tile carries hundreds of different tiles in many different colors, textures and sizes. Customers can choose from a variety of ceramic, porcelain, marble, granite and glass mosaic tiles, in addition to travertine natural stone as well as other rough-textured tile products. Customers come to Exquisite Tile to redo their kitchen and bathroom, backsplashes, countertops as well as outside their homes. The store also carrieskitchen cabinetssuch as Fabuwood, Forevermark, Cubitac, and Yorktowne. Bathroom vanities, tub and shower doors. Exquisite Tile works with suppliers in the tri-state region and across the country, and also imports a variety of products from Italy, Spain and Turkey. Domenick,who had always dreamed of becoming an entrepreneur, prides himself on offering superior customer service. Customers can expect a one-on-one design consultation adapted to their individual needs as well as prices that are competitive with other Westchester tiling stores.